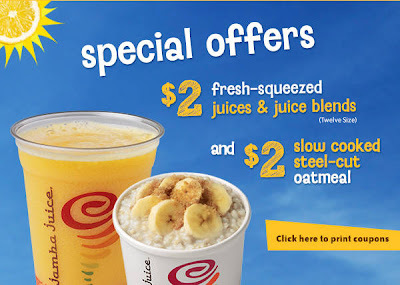 Treat yourself to a healthy breakfast on the go with these printable Jamba Juice coupons. You can get a fresh-squeezed juice or juice blend and/or slow cooked steel-cut oatmeal for only $2 each! Coupons are valid through the end of September.